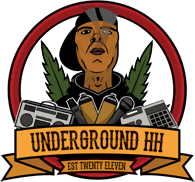 Check out our friends over at Underground Hip Hip, this site is a great source of info on all things hip hop with reviews, downloads and much more. BLATANTLY BLUNT WAS ESTABLISHED IN 2007 TO SHOWCASE THE BEST IN HIP HOP, GRIME, DANCEHALL AND MORE. Fabricate is an independent British streetwear & lifestyle brand, heavily influenced by the music we love and the culture that surrounds it. THTC are dedicated to using sustainable materials for all its products and promotes the use of Hemp, as well as Carbon neutral organic cotton and bamboo as viable organic clothing fabrics. They source these products from ethically verified environments and use water based, discharge printing process on the majority of their designs. 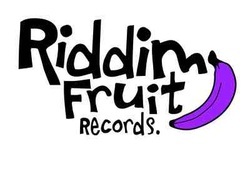 Riddim Fruit is a record label based in the United Kingdom.Founded in 2010 in an effort to bring together a cocktail of the freshest artists from around the world and set a platform in which they can unleash their own musical bullets. Riddim Fruits sound is a explosion of flavas from hiphop, funk, breaks, reggae to dnb!Here at the fruit factory we are all about the hearty beats that insist on making you move ya feet.